The latest survey of California’s endangered Delta Smelt has turned up just one fish. While the population has been in decline for years, UC Davis biologist Peter Moyle says the drought has stressed the species to the brink of extinction. He blames a number of factors for the almost complete collapse, but says the drought is a big factor. Moyle says biologists can maintain a captive population of the smelt for some time, but even reintroducing the fish in the future would be a major challenge. Moyle: “That’s the reason that population is there. Especially if wetter conditions come back presumably there would be better conditions for the smelt at that time. But you have to realize this is also a long-term proposition. 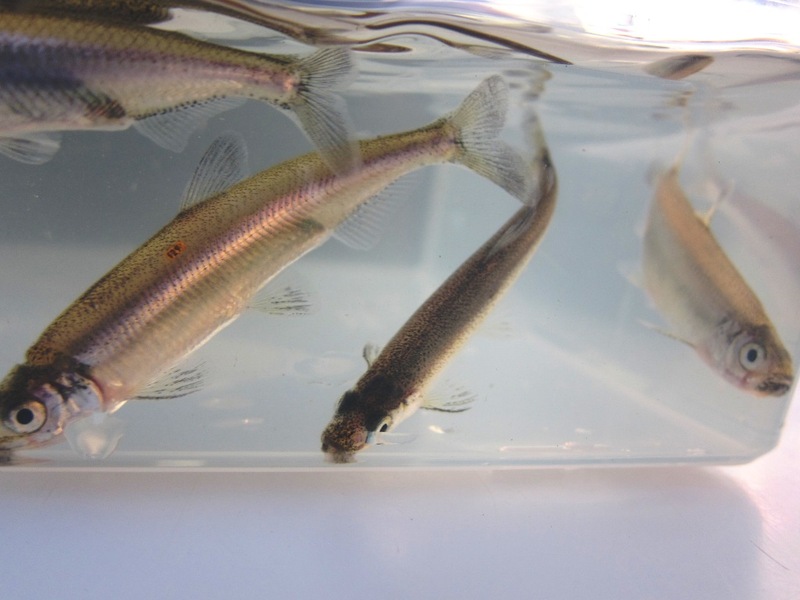 Even if the smelt were declared extinct in the wild, Moyle says it’s unlikely to significantly change the way water in the Delta is managed, due to a number of other endangered species. He adds that while some south of the Delta pumping restrictions might be lifted if the smelt were extinct, so few fish have been found in recent years those restrictions aren’t a major issue right now.